City officials on Wednesday nixed the leading proposal to house many of the recovery programs that have remained in limbo since the bridge to Long Island on Boston Harbor closed in October. The decision to abandon the proposal to move more than 200 beds to the former Radius Hospital in Roxbury, which closed this year, came after neighbors raised concerns about the impact on their community. “We heard their feedback and recognized the need to go in a different direction,” said Kate Norton, a spokeswoman for Mayor Martin J. Walsh. City officials had said Radius was large enough to house nearly all the addiction recovery programs that were on the island. They said it could have opened relatively quickly with modest adjustments, and could have been configured to increase capacity. Those who ran the shuttered programs said they are now searching for new options, but they worry they will face similar obstacles elsewhere. 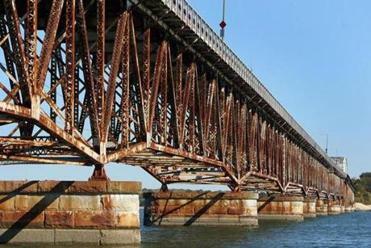 Explore the history of Long Island, its shelter, and the bridge that connects it with the mainland. He and others expressed shock at some of the comments at an emotional meeting about the Radius proposal that city officials hosted last week in Roxbury. But others said there were legitimate concerns raised. State Senator Sonia Chang-Diaz, whose district includes Roxbury, said she was open to the programs moving to Radius, until she heard from all the opponents. City officials have also yet to decide where to house some 450 homeless people who have been sleeping on cots and mats in improvised shelters since the island closed in October. Authorities are considering building a shelter on city property along Frontage Road in South Boston. But they have yet to break ground and continue to explore other options. Norton said city officials expect to make a final decision about where to house the homeless this week.